They discover, nurture and produce the best new playwrights from the widest range of backgrounds, and present our work to the highest possible standards. They look for exciting new voices that tell contemporary stories with wit, style and passion and we champion work that is both provocative and entertaining. 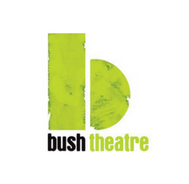 Bush Theatre also run creative project and workshop throughout the year for young people where they can learn new skills, improve their confidence and communication. They offer week work experience placements and are currently offering a three month paid part time work for young people in the local area.